Whether you have a property to renovate or have decided to extend your home to accommodate growing needs, spatial awareness is an important design concept that is often met by clever use of glass and mirrors! Using natural light sources and, even if it can’t be expanded physically, extending space visually where possible, is often important to a feeling of well-being. • That’s why many people are installing glass doors and windows in place of solid walls. Professionals, such as architects and interior designers, will address a number of standard points when working with you to design your living space, including: existing architectural features, traffic routes in each a room and available light. Property owners often have the natural talent to create the perfect living area for their lifestyle and are best placed to know what will work for their home. Once the provisional costings are assembled and a budget has been set aside, the project begins and, usually, decisions will need to be made regarding unforeseen expenses. • Where can you cut costs and where should you ‘bite the bullet’? The most important places not to cut costs are with long-term structural elements. If you want a room that is 4m x 6m, don’t compromise by making it smaller. If you want a wall of glass, have a wall of glass. If you’d like an expensive floor covering – do it later, when you can top up your budget. The value of your home will be increased as a result of a extending or renovating. Money invested in the structure has long-lasting benefits whereas money spent on decorating and furnishing will have a shorter lifespan before it needs re-doing or replacing. Results of the greatest expenses are often unseen, e.g. footings, insulation, etc. – nobody cares what the loft insulation looks like as long as it does the job. 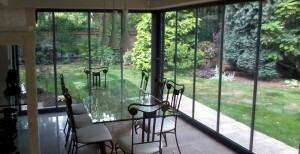 When it comes to choosing ‘finishes’ such as patio doors, there is a wide range of prices, quality and styles. Determine whether the doors are to be fully retractable (i.e. all the doors retract to the side wall, leaving virtually the entire width of the gap open). 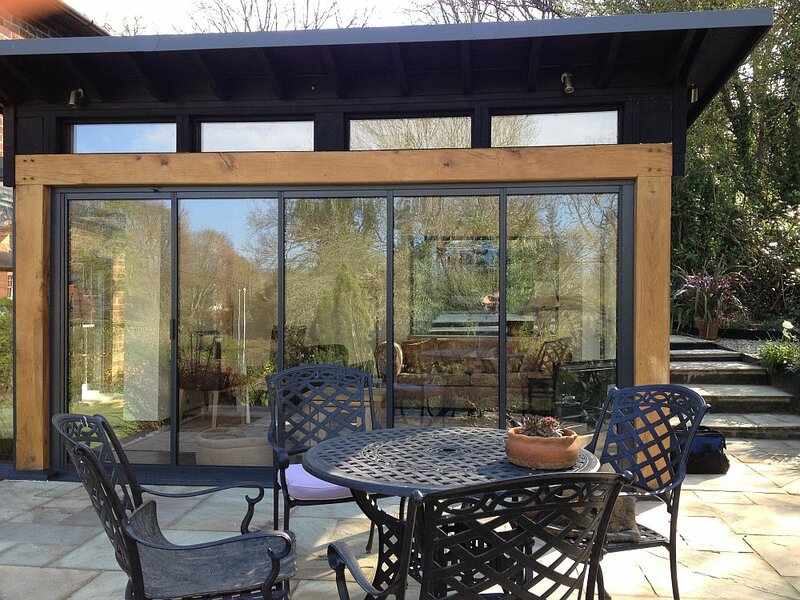 If YES, your choices are bi-folding doors or slide-and-turn doors. 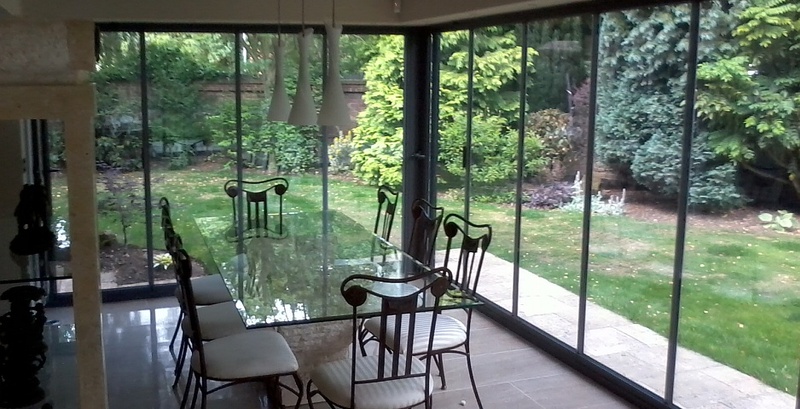 If you prefer wide glass panels to look through but never want to have all the doors open at once, traditional sliding doors or very wide glass leaf doors will suit your requirements. We suggest that you choose an aluminium frame rather than pvc, as it is stronger and therefore will be slimmer for more pleasant viewing. 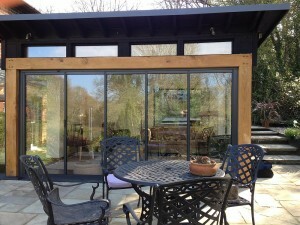 Aluminium frames never need painting and are available in a wide colour choice. Extending your home or renovating a new home is your chance to have exactly what you want. Take a look at our doors gallery for inspiration, then request a quote so you can start to budget.